The DeMo’s Pizzeria & Deli menu has far more than just pizza! We have an array of different homemade options that we are sure you’ll be pleased with. 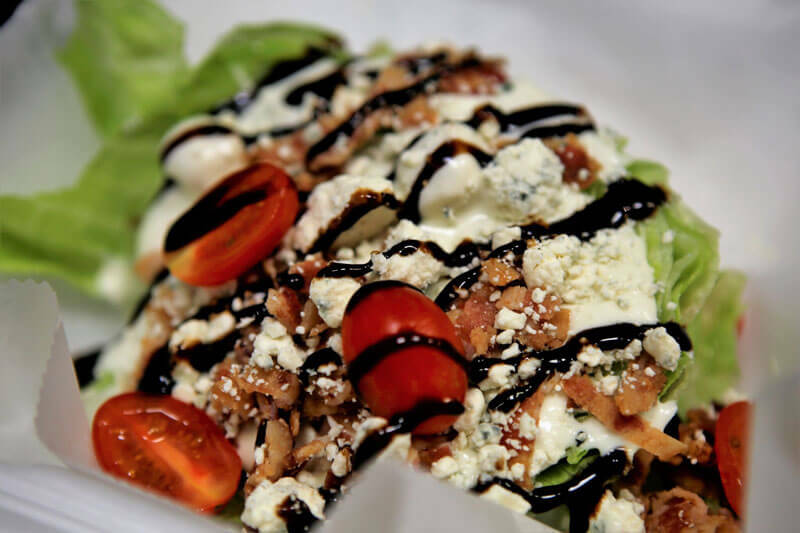 All of our salads are made with fresh produce that we get delivered daily from the local Farmer’s Market. Veggies aren’t the only thing that we get locally each and every day. All our bread comes from The Bread Shop daily as well, which is based out of Pittsboro, NC. We use all premium Boar’s Head meats and cheeses for all our cold deli subs and platters. 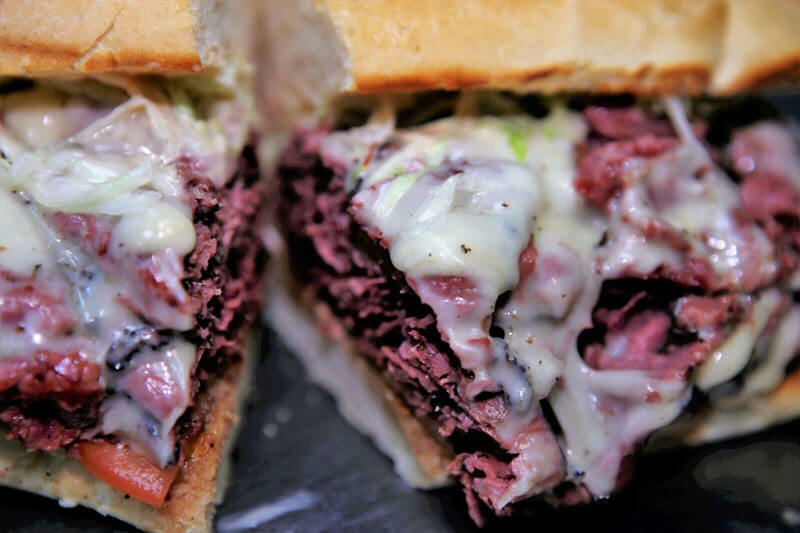 The award-winning DeMo’s Pizzeria & Deli Steak Subs are something you won’t find anywhere else in the city. We take a slab of Black Angus Top Round beef and trim it, season it, and slow cook it in the pizza oven to a warm medium rare center for optimum flavor. Pair that with some Boar’s Head provolone and yellow American cheese, along with fresh sautéed veggies, and you’ve got a bangin Philly Cheesesteak. 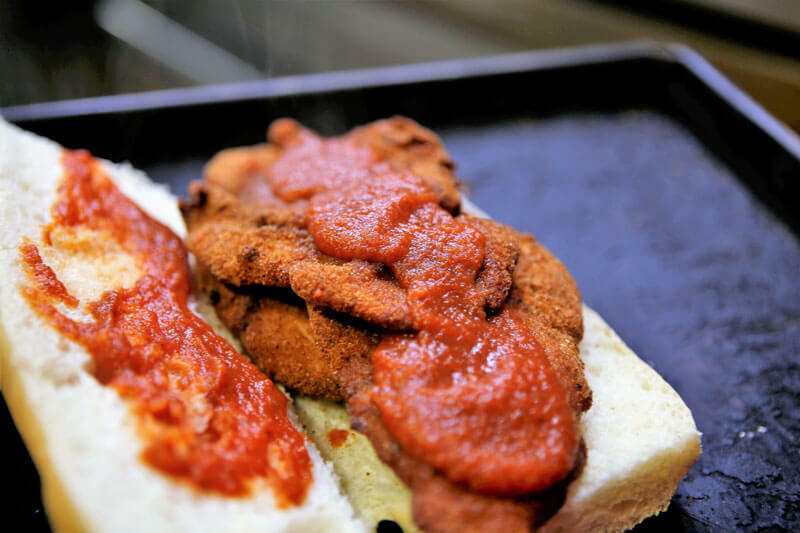 Our homemade marinara sauce is slow roasted on the stove top for 6 hours and goes hand in hand with our homemade ground beef meatballs and fresh chicken parm cutlets for an extraordinary sandwich experience. We have also recently added our homemade 7-layer Lasagna to our menu, which is a hearty portion stuffed with our signature meatballs and loaded with both mozzarella and ricotta cheese. The award-winning Chicken Wings have become quite a staple with our customers. We use fresh jumbo wings that we generously season and bake in the pizza oven to start the process. They are cooked and then cooled down and stored in refrigeration until they are finally deep fried and tossed in one of our amazing wing sauces that we prepare in-house daily. In addition to that, you most definitely can’t leave out our homemade double batch Ranch dressing for premium dipping. The pizzas here at DeMo’s Pizzeria & Deli are most definitely king when it comes to menu items. 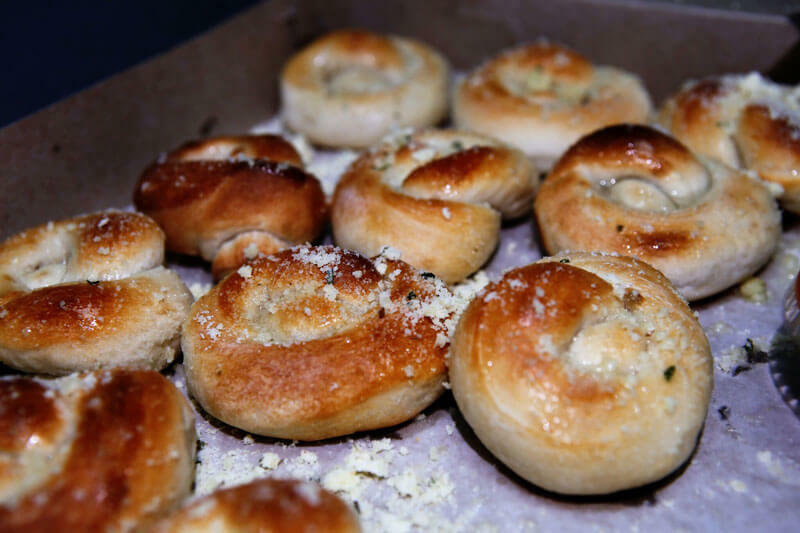 We combine fresh dough that is mixed daily right here in our kitchen, with homemade blended pizza sauce, and fresh mozzarella cheese that is shredded straight off the block and directly onto your pizza. 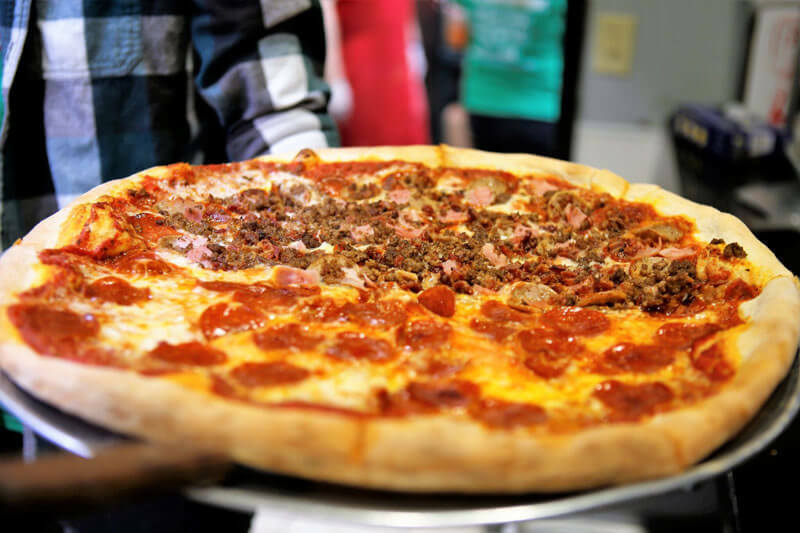 Our pizza is a traditional hand tossed thin crust New York style pie with just the right amount of ingredients to give you that crunch and fold. We have a numerous amount of specialty pizzas to choose from to fit all different personalities and cravings. DeMo’s Pizzeria & Deli is definitely an establishment where you can’t forget your after-meal dessert. We have to lead off with our signature New York style cheesecake that has quickly rose up to be one of our top sellers and crowd favorite. We can’t exactly give you the details on the ingredients, but it is definitely something you must try. The double-decker homemade Rice Krispy Treats have also become a hot commodity with the different variations that we have been doing, with Oreo and rainbow sprinkle, to Reese’s cups, or original, you’re sure to find one that you’ll thoroughly enjoy! We also offer quarter pounds of Mama D’s Homemade Fudge, which is a famous family recipe that dates back over 100 years. Last, but not least, grab one of our vanilla or chocolate cannoli’s! Stop in or order from us today.